Everything is big in Texas. 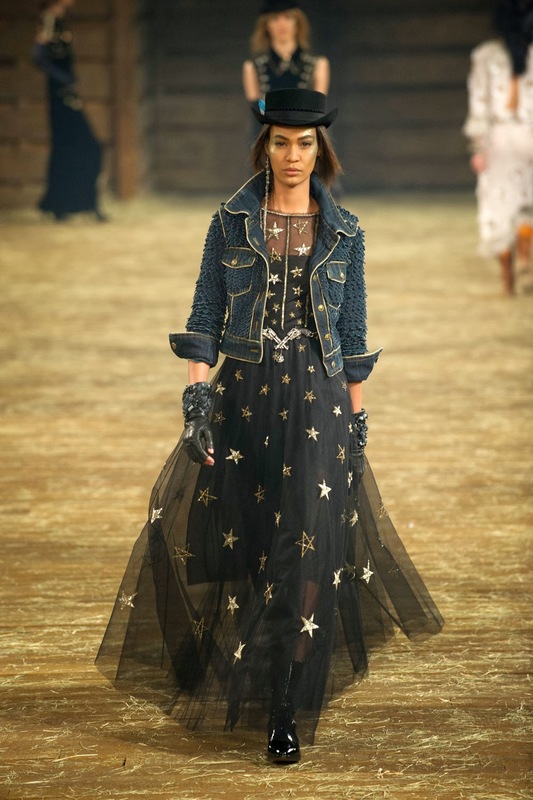 And when Chanel Métiers d'Art show takes place there, as a thank and tribute to the American warm welcome of Coco's comeback in 1950s, it's nothing but grandeur. 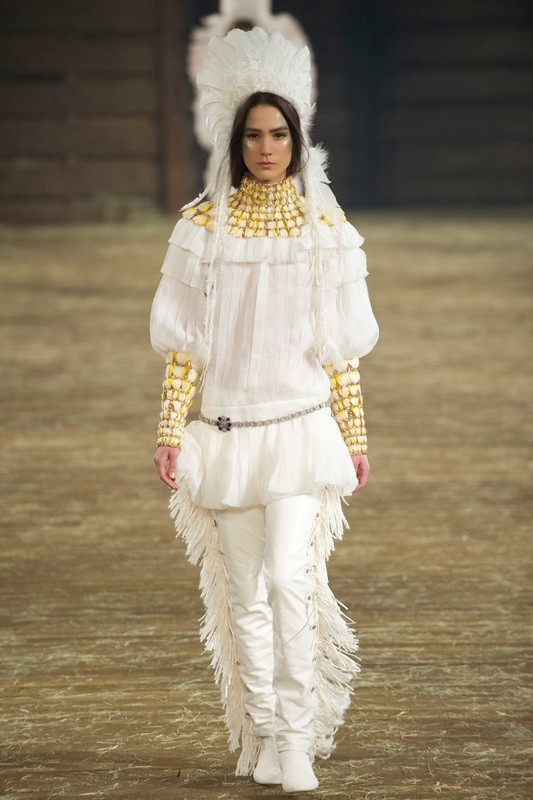 For the presentation of his most elaborate "Métiers d'Art" collection of Chanel , Karl Lagerfeld always refers to the biography of Coco Chanel . 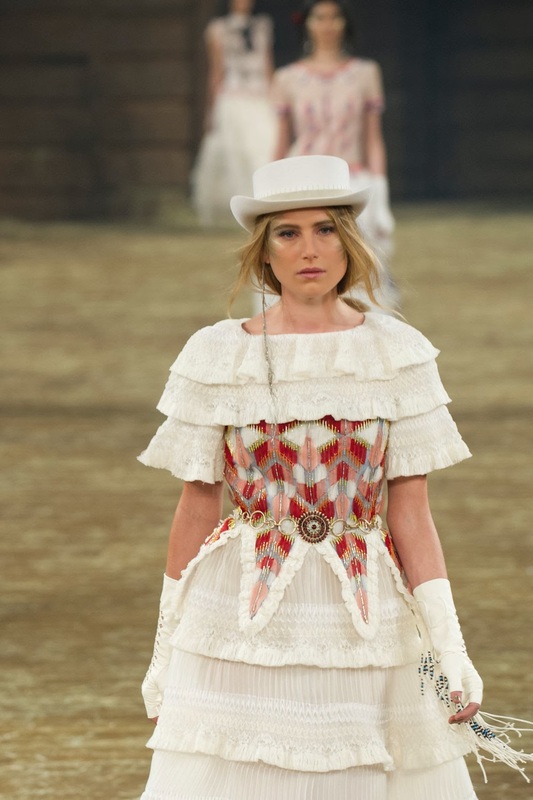 "The places for the" Métiers d'Art " shows usually have a strong connection to the life and inspiration of Mademoiselle Chanel ," explained Bruno Pavlovsky , the president of Chanel. 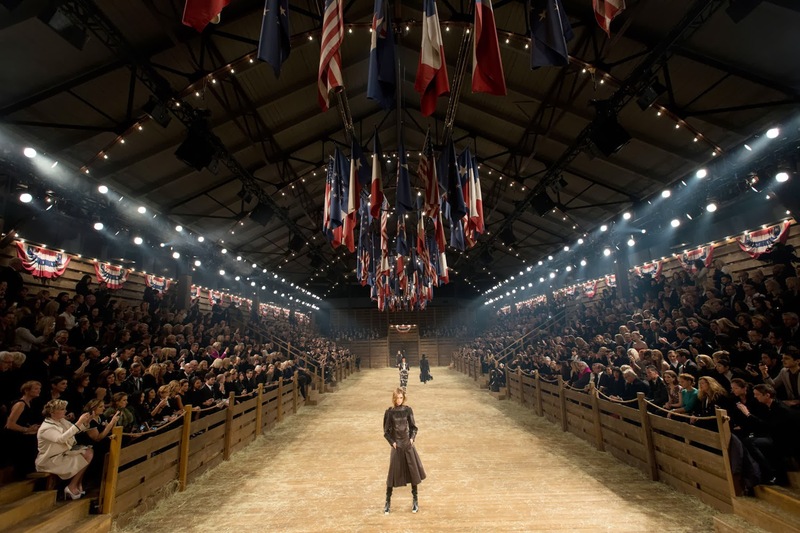 "These include London and Scotland, where we have the latest "Métiers d'Art" show 'Paris - Édimbourg' ".All these places stood for a taste of Coco. 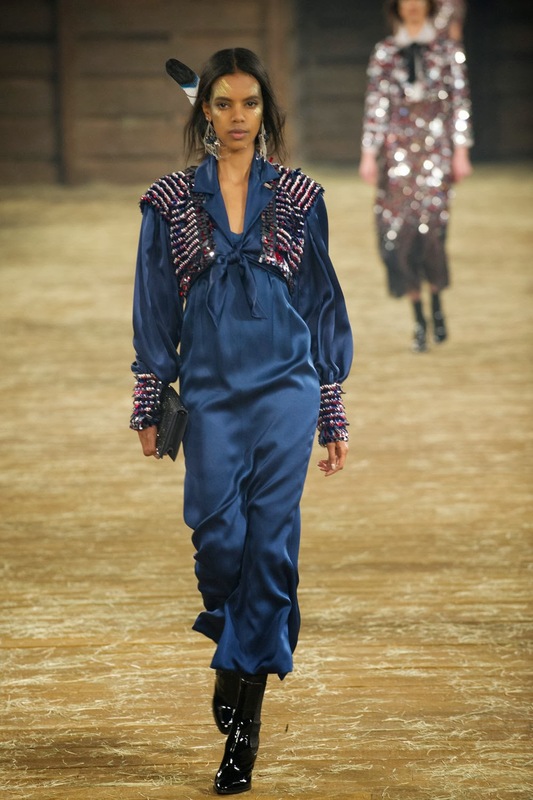 "America - and especially Dallas - is a piece of our history, Americans were very supportive to Mademoiselle Chanel in the 1950s ," Pavlovsky told on. 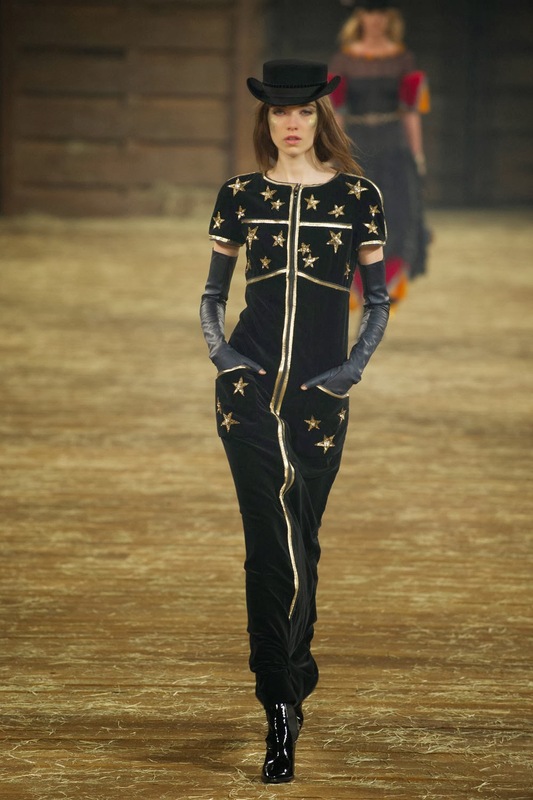 After the Second World War, Coco Chanel tried in 1954 to take with a new collection her foot back in the field of fashion - after 15 years break. At that time it was the U.S. media , who knew how to appreciate the value of designs and they praised. 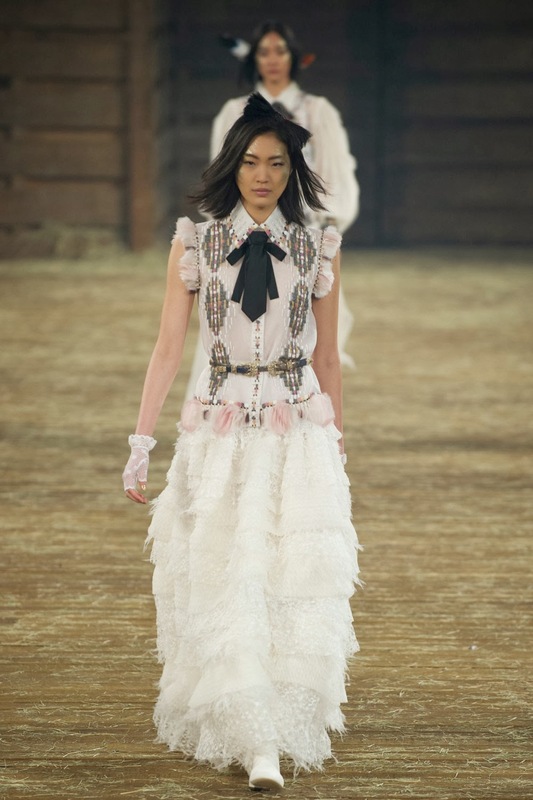 "The American press and the Department stores saw the modernity in the collections of Mademoiselle Chanel ," said Bruno Pavlovsky . "The suits were comfortable, for example, and it was a huge success in the United States. " 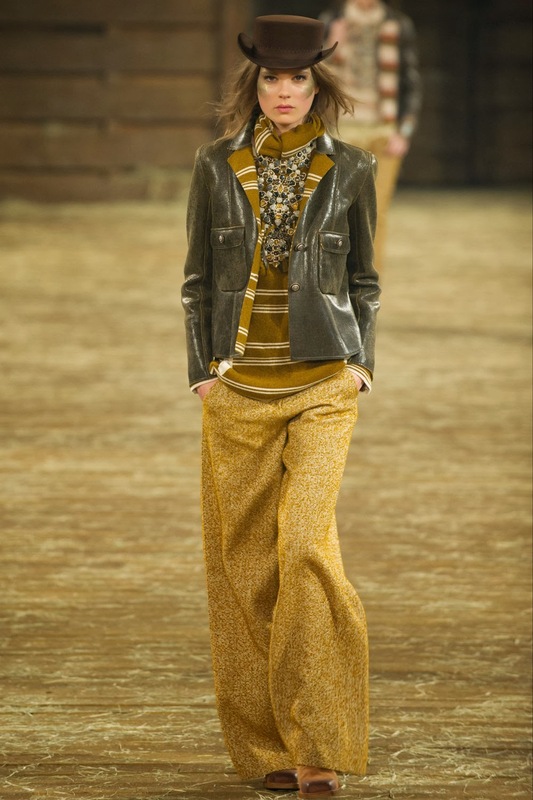 With total ninety-eight looks (which two of them are in teeny kids size), it's very big a collection for pre-fall season. 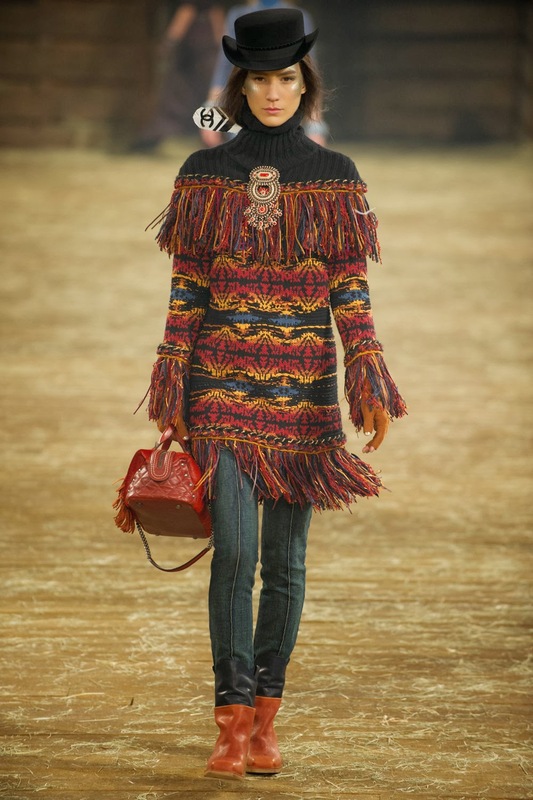 There might be eyebrows raised during the two final looks, with women models wearing feather war bonnet. The war bonnet is a loaded symbol. It carries many layers of meaning, some more obvious to certain audiences, than others.The war bonnet is part of the Great Plains peoples (such as the Sioux, Crow, Blackfeet, Cheyenne, and Plains Cree) traditions. It was given to a member of their society as recognition for a great accomplishment. This could be in battle, diplomacy, or leadership. This was formal headwear, used in ceremony and in formal nation to nation meetings. 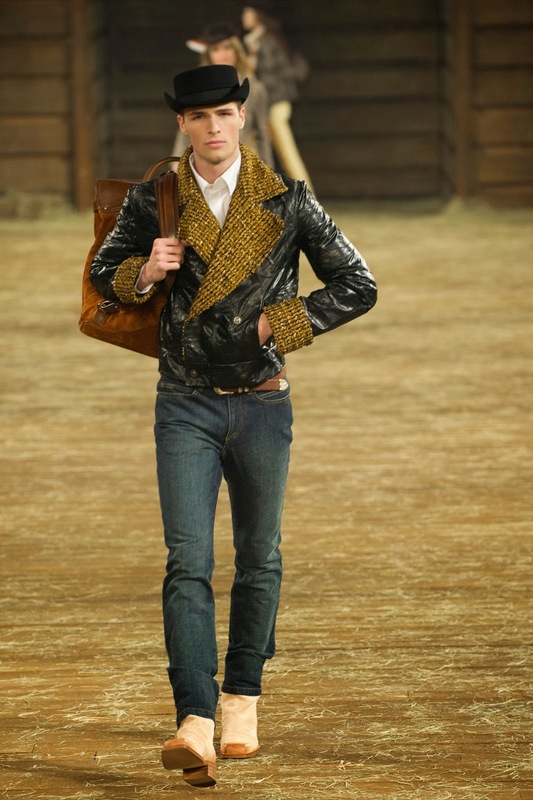 While I will not say that no woman was ever presented with one, it is extremely unlikely that a woman would ever wear one. But again, it's not a real thing that was presented. When the association of it as it were a form of mockery and disrespect to such horrible things as war and ethnic eradication, I simply see it as the closure to a story of a collection. This collection consists of nearly a hundred numbers, with a blatant sense that it's inspired by native American culture. 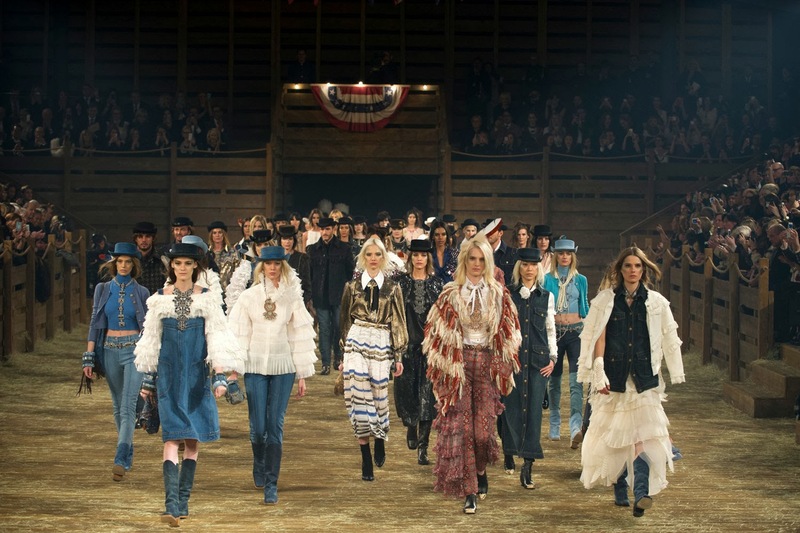 There are so much leather, beadwork, the fringe, prairie dresses, bolo ties, the gorgeous blankets with star motifs as huge as, well, Texas (as Texas symbol is a Lone Star) turned into coats and skirts, denim jeans, the turquoise jewelry cascading down tops, and the cowboy boots. 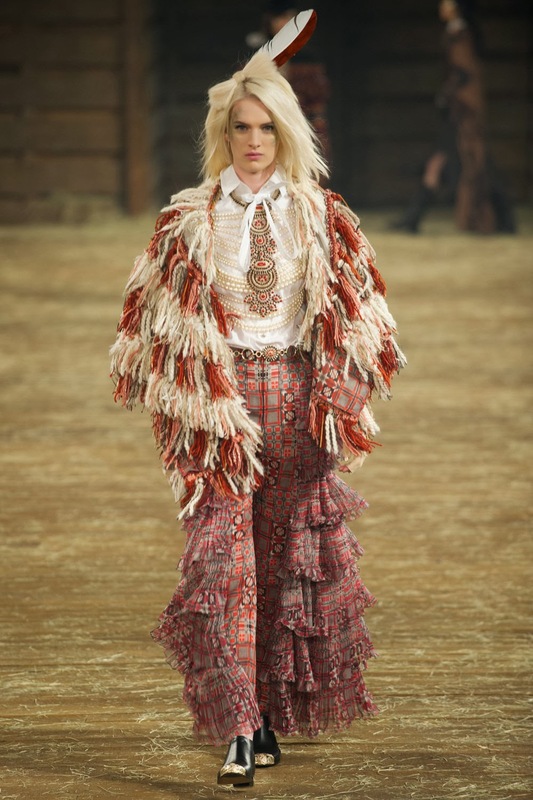 fringed leather trousers, Confederate-style piping, and Navajo-like prints.